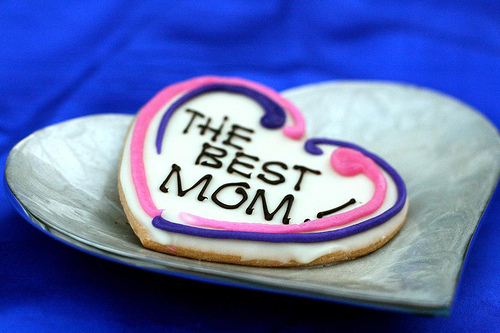 Each time Mother’s Day comes around, you rack your brain for the perfect gift to give your mom. But what can you give to a woman who has it all? To make it easy for you, here’s a list of gift ideas to suit every budget. Pamper your mom by treating her to a full day at the spa. She would surely enjoy a soothing aromatherapy body massage (P820) and other wellness treatments. Give her a day of rest and relaxation by presenting her with gift certificates from The Spa. Visit their branches around the metro or check out their website. You can never go wrong with giving a lady some kind of beauty product. Go for a nice-smelling perfume like Lacoste Touch of Pink (P4,150). She’ll definitely love its sweet scent! Look for more beauty products at Watson’s or other department stores. Brighten up your mom’s day with some fresh flowers that she can display at home. Choose from a wide variety of floral arrangements (P150+) at Dangwa Flower Market along Dos Castillas Street in Sampaloc. Schedule a date with your mom at a fancy restaurant and make sure that you offer to get the tab! Indulge and let her enjoy a scrumptious dinner buffet (P1,600+) at Circles Event Cafe in Shangri-La Hotel Makati. It’s best to make a reservation before going: call (02) 813-8888. What woman wouldn’t appreciate a new pair of shoes? You can splurge on a designer item, but if your budget wouldn’t permit it, a simple one would do. Just get something that suits her taste. Try bargain bag hunting at Greenhills Shopping Center. Many mothers are striving for a healthy lifestyle but not everyone can do serious workouts. Let your mom try out yoga and see if she likes it. Give the gift of health and enroll her in a beginners’ yoga class. See www.yogamanila.com for more information. Women have an ongoing love affair with jewelry. You don’t have to get your mom something expensive; a simple pair of pearl earrings (P500) would suffice. Take your pick from the wide selection at the Pearl Market in Greenhills Shopping Center. Bring your mom and the rest of your family to the La Mesa Ecopark and enjoy this oasis in the heart of the city. For a mere P40 per person, you can treat your whole family and let them commune with nature. Head to East Farview Subdivision in Quezon City or find out more details first at www.lamesaecopark.com. For the tech-savvy mom, only the latest gadget would do. Consider giving her the new iPod shuffle (P4,190) that has a VoiceOver feature. With this, she’ll be able to store more of her favorite songs that she can listen to. Purchase it online at the Apple Store. Let your mom see more of the Philippines’ cultural side. Check out the latest exhibit at Ayala Museum in Greenbelt. Or, get a couple of tickets and accompany your mom to see a ballet, musical play, or whatever is showing at the Cultural Center of the Philippines.